Availability: Usually ships within 2 - 4 Business Days. 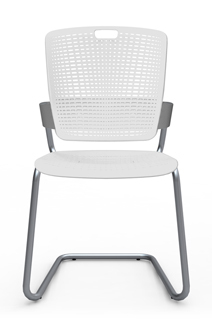 Designed to move with the body and minimize pressure points, Cinto breaks the number one rule for stacking chairs—it’s comfortable! 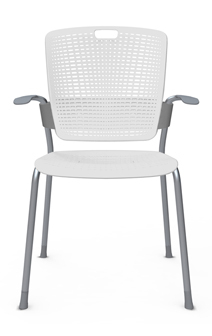 Ideal for commercial and residential use, Cinto features an innovative backrest that provides recline and automatically adjusting lumbar support, plus a seat pan design that uniquely distributes the sitter’s weight and reduces pressure points. Stress-relief cross-slits on Cinto’s seat pan flex independently under the sitting bones to evenly distribute body weight and reduce pressure points, while air vents on the backrest and seat pan enable air circulation for cool seated comfort. 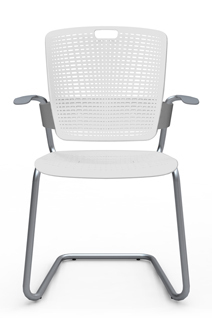 Lumbar Support - flexibility of Cinto’s backrest creates a virtual pivot point that provides automatic and ideal lumbar support for nearly every user. 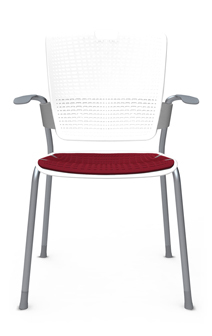 Floating Backrest - Cinto’s backrest is attached to the chair frame via a flexible belt, allowing the backrest to bend and adjust with the sitter. 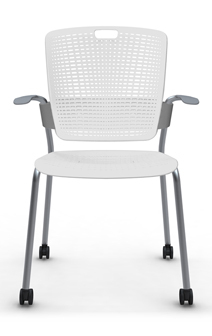 Seat Pan, Backrest: Injection-molded polypropylene. Fabric/Cushions/Arm Pads: 5 Years, Single-Shift Warranty.